In the parish Fliseryd by the road between Fliseryd and Oskarshamn Grönskogs Gård is located, very beutifully placed by the little lake Grönskogssjön. It is in surroundings like this you, with a little fantasy, can hear the wing beats of history. The estate dates back to early middleages and naturally there are many stories told about the place and those who have lived here. In the 14th century Grönskog was one of the main estates of Gustav Vasa and ofcourse there is also a story of when he came here. As well as from many other places with a long historical background you find literature sources about Grönskog from the end of age twelve- and thirteenhundred. 1320 Israel Birgersson inherits Grönskog from his mother Ingeborg. Ingeborg also had two daughters, Katarina and Birgitta, of whom the last in time was more known as "The holy Birgitta". In Israels inheritance also Läggevi, Övra and west part of Åby in parish Fliseryd was included besides four farms in Döderhult as well as Torp and Berg in Mönsterås. Israel Birgersson must have been a very special person. He is from his early days decribed as very pious, educated and humble but still a very determinate man. When he was aout thirty years old he became part of the circle of people ruling Sweden while the king was abroad. From 1334 he was chief judge of county Uppland and in 1350 he was selected knight. It is told that he in 1350 was such a competent and important man that he was named to be the regent of Sweden, an offer he declined. 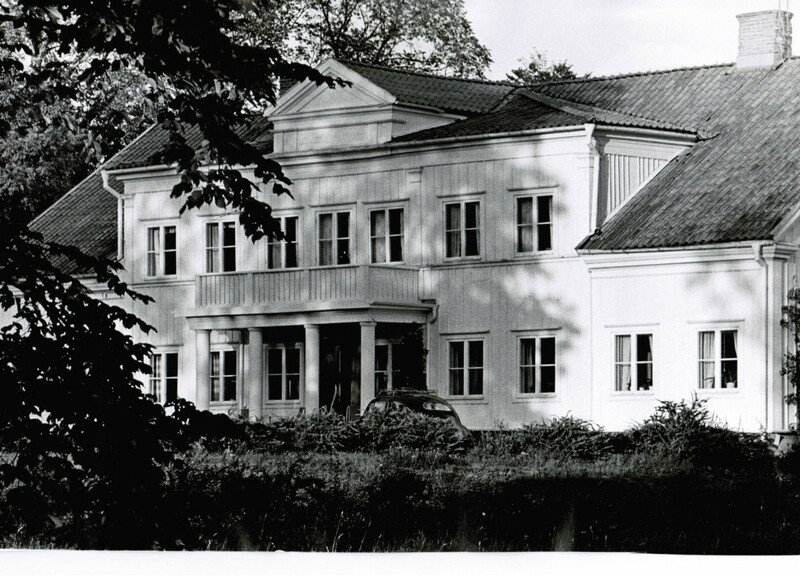 After Birger Israelssons death his son inheritates Grönskog and the subordinated farms. He however had no children and through a serie of heritances and marriages Grönskog in 14th century was included to the properties of dynasty of Sture. When Gustav Vasa obtained power in Sweden it was a very poor country he took over. To strengthen the finances of the crown he began to organize the whole country. This meant he himself had control of the management of all parts and took all important decisions himself. All property he in any way could procure he turned into the crown estate and he let nobody be safe, not even the churches and abbeys. By referring relationships with the Sture family, who own a very large peace of land, Gustav Vasa had gained a great part of the Swedish estates. The estates he got through his relationship however never belonged to the crown, but stayed as his private property. Grönskog was no exception, but when he came here to claim the manor and the belonging land there was a battle. 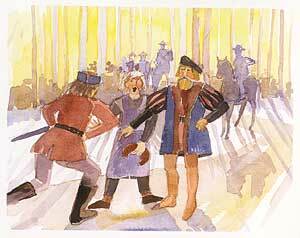 The tale says that the governor of the property met Gustav Vasa as he arrived. He refused to let it over and attacked the king. However all the trials to stop Gustav Vasa from taking over Grönskog were in vain and the king soon developed the land to be his main estate. Already in 1527 he built a sawmill on the farm and a little later a flourmill. On the farm his judge governors lived to make sure everybody paid their taxes.